Sometimes one’s best plans go awry. For journalist MarkWoods, his plan to visit at least one national park a month for a year turned into something very different from the winning grant proposal he had submitted for the Eugene C. Pulliam Fellowship. 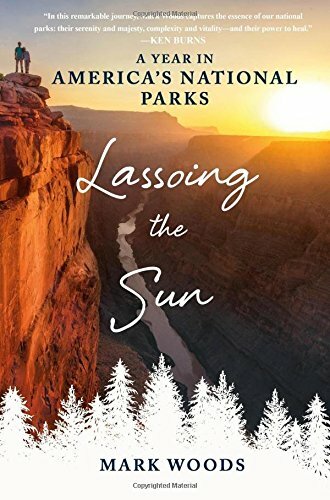 In this year of celebrating the National ParkService centennial, during which a plethora of articles and books have been written about the soul and sanctity of America’s national parks, Woods’ book Lassoing the Sun follows a different path. It is a beautifully written tribute to memories, family, and the enduring power of natural surroundings to heal hurts of the heart. 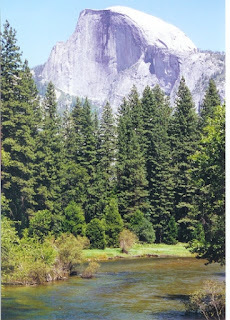 After receiving the $75,000 award, Woods planned to spend his year reliving childhood summers during which his parents piled the three children of their family into a station wagon and created vivid memories of mountains, woods, and fireflies while camping in Yosemite, Grand Canyon, and other national parks. He planned to describe the present state of his chosen parks and how these special places are being cared for and adapted to the 21st century. But, as the year progressed, the book morphed into much more than reminiscing and re-exploring sights he remembered from those early years. Shortly after starting this journey, Wood’s mother was diagnosed with cancer and given a few months to live. So, while writing about the future of national parks, Woods interwove the documentary parts with his personal saga of dealing with death and change. Feeling sad and lost often during that year, each of the 15 parks he visited helped him remember the awe he first felt in the wilderness. It’s a beautifully written story of what we miss and what remains as life and death connect in the most empowering way in nature. Published by St. Martin’s Press in New York (available on Amazon for under $18), Woods’ account of his year in America’s national parks is a heartfelt memoir set against the backdrop of “America’s best idea.” Lassoing the Sun presents unique insights into each park visited, not all of them the most spectacular or best known. Woods started with Acadia National Park in January and sat atop Cadillac Mountain to welcome the new year. In February he visited his mother’s favorite, Saguaro National Park. 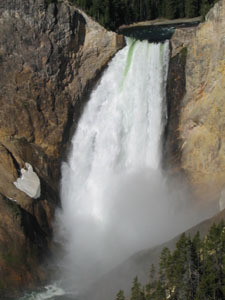 These are followed by Grand Canyon, Dry Tortugas, Yellowstone, Gateway National Recreation Area (in the throes of a big city), Yosemite, Flight 93 National Memorial, Olympic National Park, and finally Haleakala National Park in Hawaii. Woods describes the unique challenges of each park and the stirring memories that he leaves behind for the next generation as his iPad toting daughter also learns to appreciate the emotional power of the parks.